CuBES, short for Copper-Based Electrochemical Solutions, is a platform that was founded in June 2016. The European Copper Institute acts as coordinator. 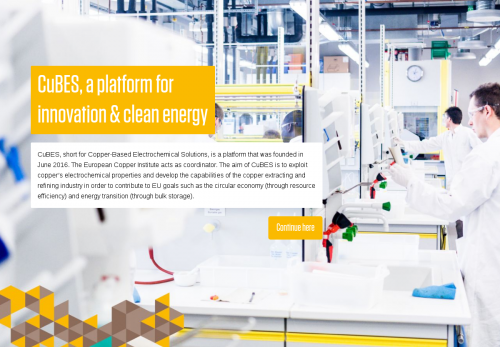 The aim of CuBES is to exploit copper’s electrochemical properties and develop the capabilities of the copper extracting and refining industry in order to contribute to EU goals such as the circular economy (through resource efficiency) and energy transition (through bulk storage).